Edgy, eccentric and artsy would describe the McQueen girl or guy. Known within the fashion industry by one name only McQueen. The Alexander McQueen brand include such valuable and luxurious items that we all adore. Yet the established fashion collections was introduced in 1992 by the british innovator Alexander McQueen who changed fashion in a powerful way. Since his passing creative director and Sarah Burton took over the famous brand. With her skillful tactics of adding the same aesthetic yet refined with a modern touch. 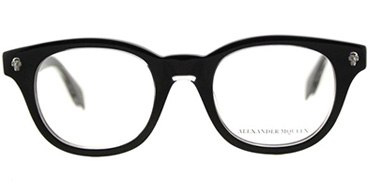 The release of the Alexander McQueen & McQ sunglasses and eyewear involves such definitive designs. Each pair offers sturdy craftsmanship which includes acetate, gunmetal as it’s mainmaterial for each frame. McQ eyewear is an enticing continuation of the brand which includes affordability plus adding that McQueen finesse with each pair. Along with keeping the contemporary vibes flowing with each pair of sunglasses generate such strong statement colors like brown gradient, to the black, and then to grey gradient, then lastly the Havana lenses. 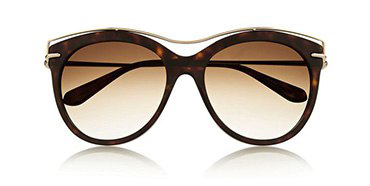 Plus the Alexander McQueen sunglasses are perfect for being scratch resistant, and flattering to wear with any day to night look.